Meg was very friendly and made it easy. The management and staff at this facility are extremely knowledgeable and friendly (award-winning, in fact! ), and will do whatever it takes to accommodate your needs! 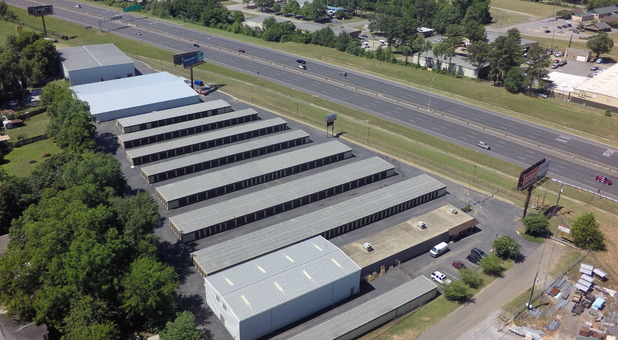 It's the best storage facility & experience in Tuscaloosa, hands down!!! Very Professional and a pleasure to do business with! My son rented a unit before moving all his belongings from college to Texas where he was starting a new job with no apartment yet! Monthly billing was a breeze! But mostly, it was the people who I dealt with (I believe it was Zach and Meagan), who were super professional, that made our experience with All American one we really appreciated. Very polite staff. Very clean units. You Pay For What You Get!!!!! Best storage in T-Town hands down. This my second time using this storage facility. I came back because of the awesome rates, clean property and great service; the staff is excellent. I love how I can pay online and never have to worry about being late on my bill because they have auto draft! My experince keeps getting better and I will continue to us them.